With some 37 million and growing international arrivals into Thailand, industry players are now pondering what else is needed to raise the country’s competitive edge in the tourism game and remain a desired destination, especially as neighbours such as Vietnam are also emerging as strong contenders on the regional travel landscape. What will be much needed will be “out of the box” thinking and “bold” leadership, urged prominent business leaders at Thailand Tourism Forum (TTF) in Bangkok yesterday. For a country that has no lack of cultural and natural attractions, what’s needed for Thailand now are a more vibrant entertainment sector as well as more iconic attractions and events to bolster tourism spending and make the country the “playground of Asia”, stressed Supaluck Umpujh, chairwoman of The Mall Group. The Thai retail queen asserted that the arrival of luxury shopping and entertainment complexes such as The Emporium, Siam Paragon and The EmQuartier – which are owned by The Mall Group – has since changed the face of Bangkok’s Siam district and lower Sukhumvit Road into prime investment areas for real estate and hotels alike. Looking ahead, she also wants Thailand to move past the “low entertainment” the country is known for, into one that encompasses family and immersive fun for everyone. 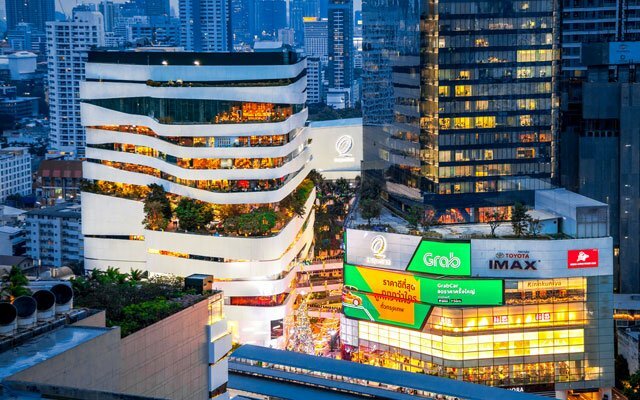 The mega developments that The Mall Group has in the pipeline could possibly redefine the business, retail and entertainment scene in Bangkok, said Supaluck. The Mall Group has recently entered into a joint venture with AEG, the US-based sports and live entertainment company, to pump more than 10 billion baht (US$315 million) into two new world-class arenas, EM Live and Bangkok Arena, that are will anchor two new entertainment districts in the Bangna district when they open by 4Q2022. Such mega developments also present future investment opportunities for hoteliers. “Sticking near a resort or whatever that excites” will be key considerations as hoteliers “think of different different ways” in hotel development, remarked Clarence Tan, managing director South-east Asia & Korea at InterContinental Hotels Group. For instance, Holiday Inn Resort Vana Nava Hua Hin, which opened four years after the water park was in operation, has helped to open new segment for families for Hua Hin, Tan added. Stephan Roemer, CEO of Diethelm Travel Group, sees merit in the development of such attractions in Thailand, especially if they help to better position the country in attracting the luxury or family market segments. However, Thailand clearly is still struggling with the current number of arrivals, so Romer hopes that infrastructure and capacity issues are something the Thai government would address. As well, real improvements in Thailand’s outdated railway network as well as mass transit lines in key cities like Bangkok will also help the country create new scenic routes and better value for experiences, said Nikhom Jensiriratanakorn, director, Horwath HTL. Meanwhile, Rahul Mittal, director at Cistri (Urbus), sees “a natural asset” in Bangkok’s Chao Phraya River and urges both the public and private sectors to come together to regenerate and develop the the city’s iconic feature and its surrounds.